TaylorMade has announced the release of its new 2019 golf bag line, which utilise the company’s popular and proven FlexTech™ technology. Combining ultimate functionality with aesthetically appealing design elements, the 2019 TaylorMade golf bag line utilises premium materials with increased attention to detail in every aspect of creation, resulting in the company’s most well-rounded, ergonomic golf bags to date. In 2019, the company has placed continued emphasis on the category that has realised significant growth – nearly tripling its market share – in the last three years. This has been accomplished by utilising extensive consumer research and an overhauled development process to create golf bags with strength, durability and efficiency from the ground up. There are two primary features that highlight each of the new 2019 bags: the company’s proven FlexTech base system & an all-new self-adjusting strap system that allows for a stable, comfortable carry. The FlexTech base system is a multi-piece collapsible base that allows for easy deployment with additional space that negates club crowding. 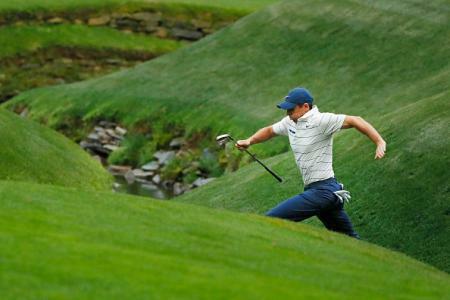 The all-new self-adjusting strap system allows golfers to have balanced bag without having to adjust cumbersome straps. Without a back pad the straps are more effective when utilised as a single or double configuration. Highlighting TaylorMade’s 2019 golf bag line are the FlexTech and FlexTech Waterproof golf bags, featuring a unique construction that has each main side pockets built into the center of the golf bag to create a single piece construction that allows for more storage without adding weight. The overall design was a result of market research that showed a significant percentage of people who purchased the previous generation bag also use them in carts in addition to walking during rounds. The bag was designed for more pocket space and features a cart strap passthrough to allow easy access to the oversized apparel pocket through a unique single piece construction. 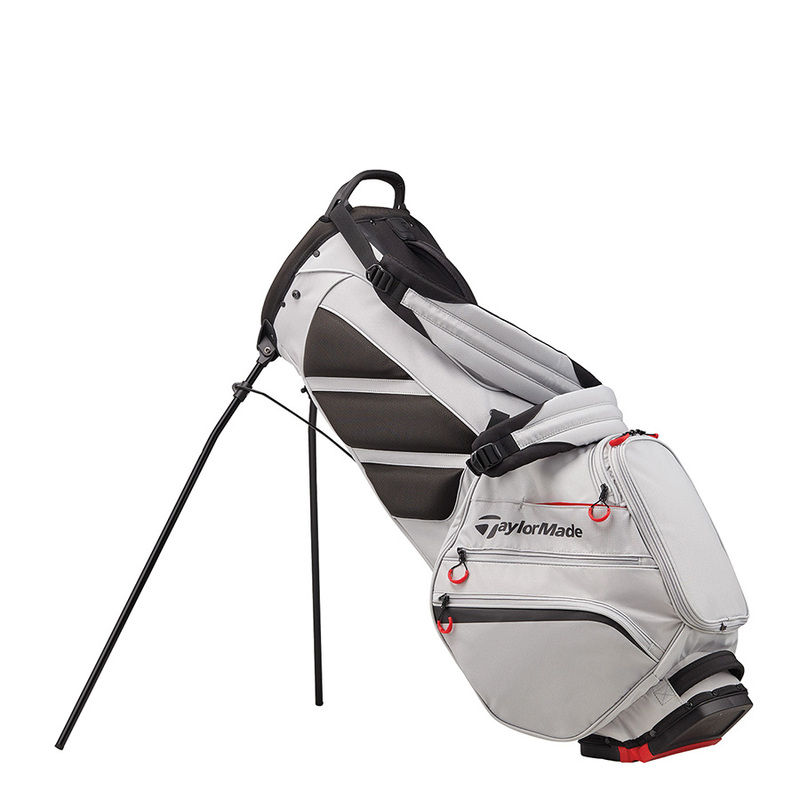 In addition to the FlexTech Stand Bags, TaylorMade is also introducing the first generation of the FlexTech Waterproof Stand Bag, designed to appeal to customers seeking protection from the rain with the same performance features as the FlexTech bag. 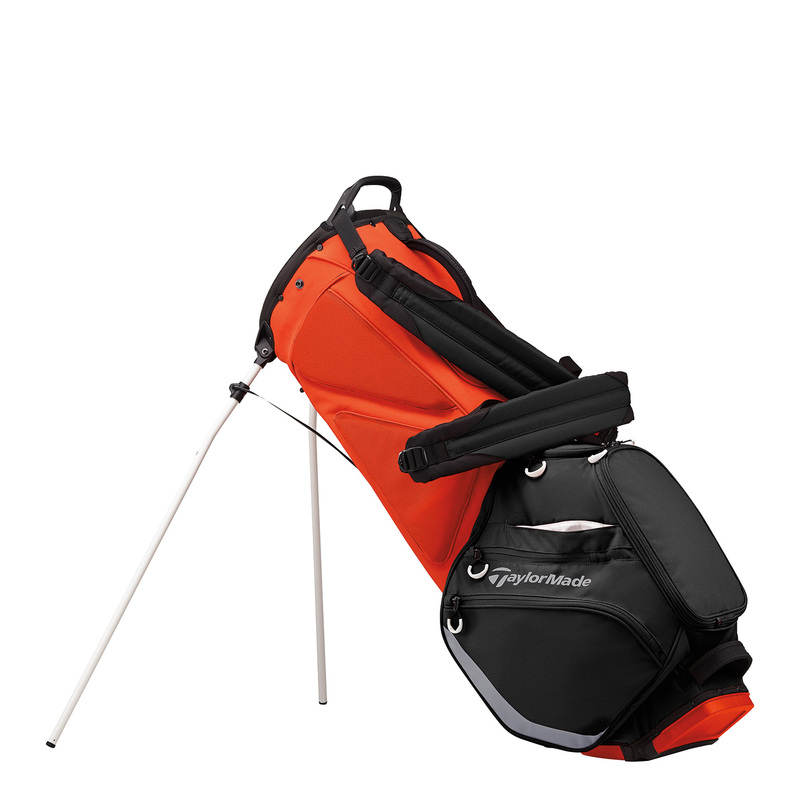 The FlexTech Waterproof Stand Bags offers 5 waterproof welded pockets and an umbrella holder. 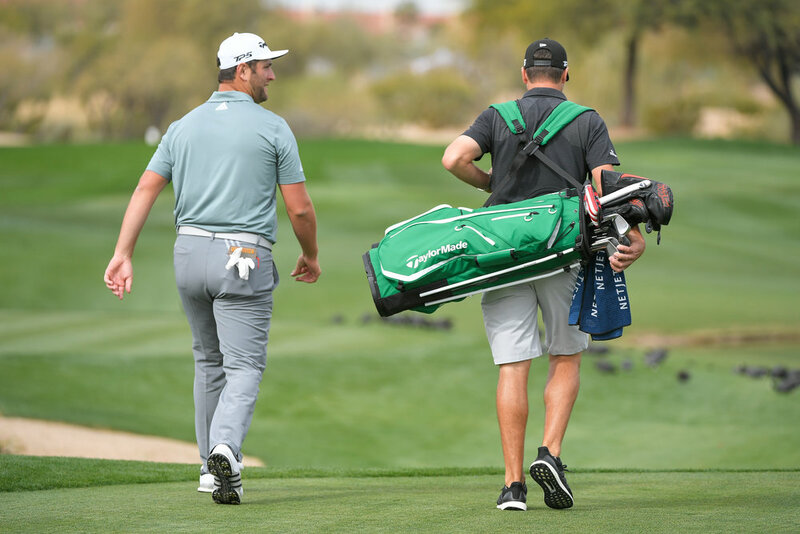 Further validating the bags at the highest level, TaylorMade Tour staffers Jon Rahm, Beau Hossler & Chez Reavie, among others, will be carrying the FlexTech Stand Bags this week at the Waste Management Phoenix Open in Scottsdale. FlexTech colourways: titanium/blood orange, charcoal, blood orange/black, and navy/red/white. 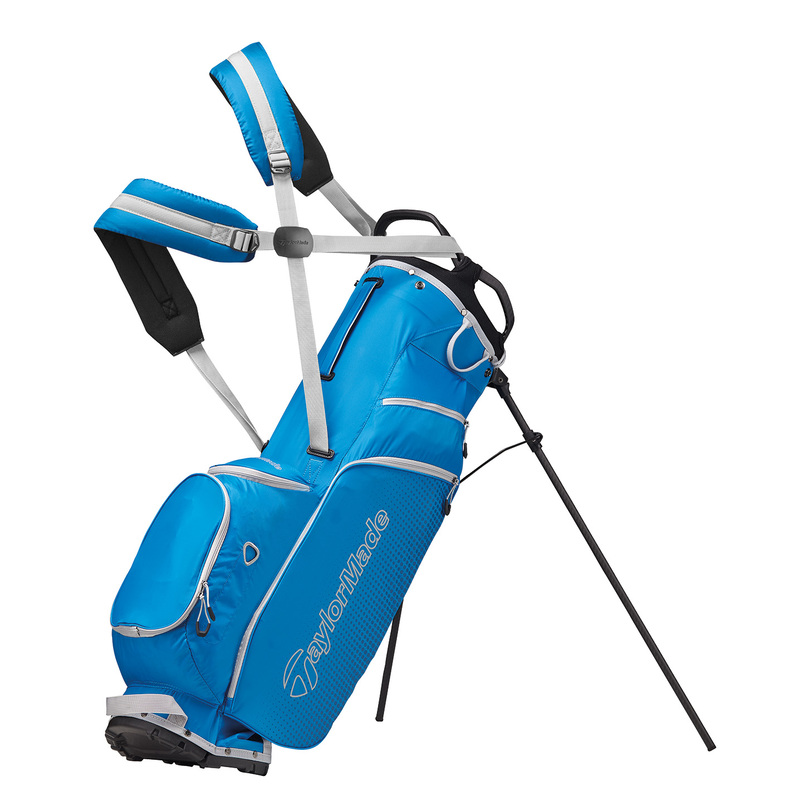 Also new to TaylorMade’s 2019 golf bag line is the FlexTech Crossover Stand Bags. The FlexTech Crossover bag was the company’s best-selling bag in 2018 and aligns with the 14-way top market that has been trending upwards, due to many golfers’ desire to further protect their clubs. While technically a stand bag, designers straddled the line of a cart & stand bag when designing the Crossover. 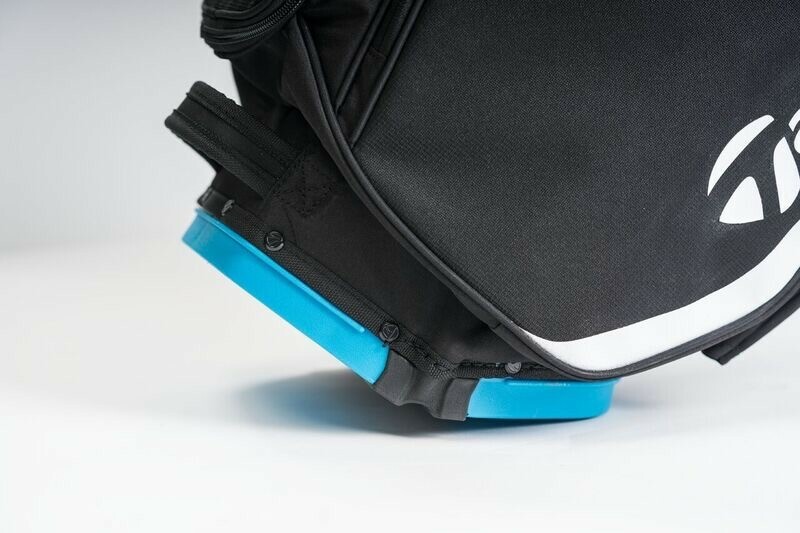 The new design allows for a cart strap passthrough that makes loading the bag on carts more efficient and more importantly gives the golfer access to the two oversized apparel pockets on the side of the bag that are made possible by the unique design built into the center ball pocket. The bag features three larger front-facing pockets (including a cooler pocket with a drain port), for easy access storage while strapped onto the cart. TaylorMade’s FlexTech Lite is the lightest bag in the Flextech family made for the walker looking for a quality carry bag built to last. The new version of the Flextech Lite is lighter, more comfortable to carry and overall, a more functional design than the prior generation. Weight was saved in this bag by moving to a single stay construction versus 3 or 4 stays previously used. The main stay that runs along the spine of the bag was modified to ensure it is durable while remaining lightweight. A dedicated rangefinder pocket/capsule has also been integrated into the side accessory pocket to allow for easy access to their rangefinder before taking the bag off their back. 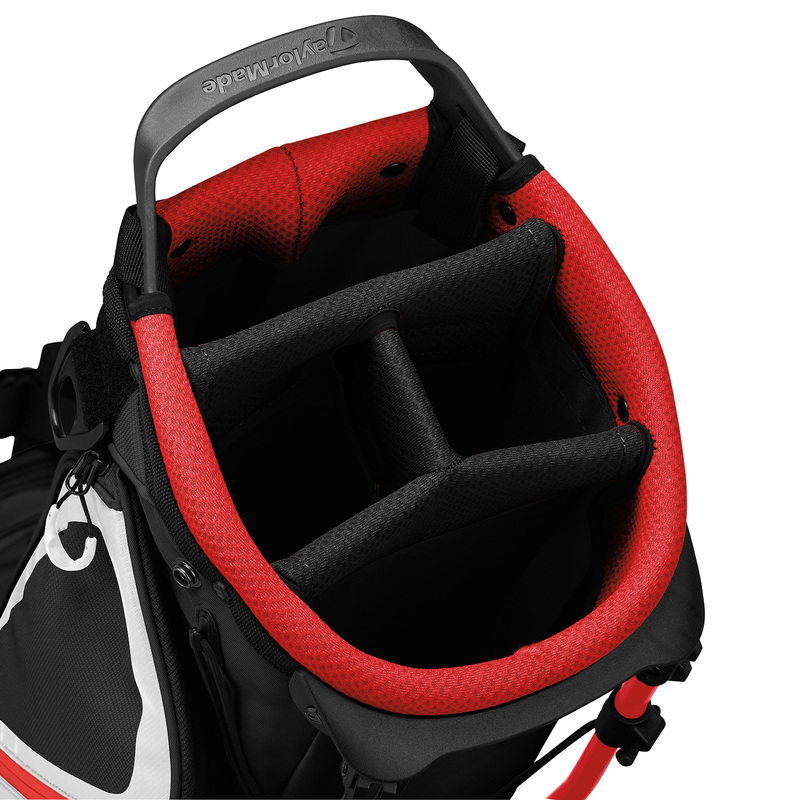 For the most discerning golfer every element of the new FlexTech Lite is designed to provide ultimate comfortable and usability during the hours of carry and miles walked. 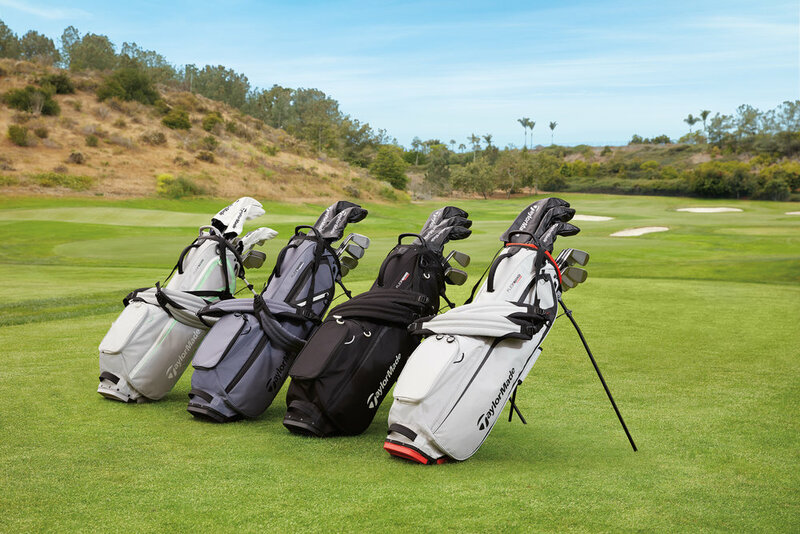 For more information on TaylorMade’s full line of 2019 golf bags, visit TaylorMadeGolf.com.